How can Pro Green Synthetic Grass Be Used? Artificial grass has many useful applications. The most common uses are for lawns, dog runs and putting greens. 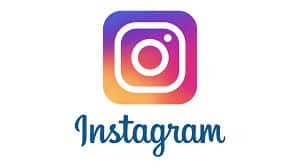 It may surprise you to know that we also make artificial grass for putting green, playgrounds, swimming pool surrounds, traffic medians, patios & balconies, indoor & outdoor sports fields, retail displays, batting cage facilities, tennis courts and bocce ball courts. We have also had customers purchase our turf for indoor playrooms, backyard chess boards, dog agility courses and more. As you can see, our synthetic turf can be used for any number of reasons, and are not limited to only outdoor purposes. 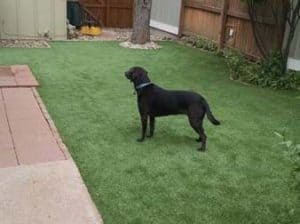 If you only need a small piece of synthetic grass (anything smaller than 12′ x 15′) for a project, check out our Artificial Grass Remnants page. What is the life expectancy of Pro Green Synthetic Grass? Our artificial grass comes with a limited 8-year manufacturer warranty, but the actual life expectancy is dependent on use and care. Typically speaking, ProGreen artificial grass lasts on average 20 years. Not at all. Our synthetic grass truly resembles natural grass. Not only does ProGreen Synthetic Grass™ look real, but many of our grass products feel real! The fiber length ranges from 1″ to 2.5″ depending on the product. No. We don’t use a topical UV treatment. Instead, our fibers have built-in UV Inhibitors that we mix into the fiber/yarn resin. Turf made outside of the USA will often have insufficient UV protection that can cause the fibers to break down prematurely. All ProGreen™ turf is made of the highest-quality materials from our plants in the USA. We have projects that we installed in the late 1980s that have no discernible signs of fading. Yes, synthetic grass is hotter than natural grass; it just doesn’t have the same natural cooling capacity. There are always trade-offs for the benefits, which include no mowing, no watering, no weeding, no chemical applications, easier dog clean up, no mud, etc. The only real trade-off is that the surface of synthetic grass will be hotter than natural grass. But, we have never had a complaint that it was so hot that it burned a person or pet. How much does ProGreen Synthetic Grass™ cost? Prices range between $3-$4 per square foot. Installation not included. How Does ProGreen Synthetic Grass™ stay in place once it is installed? An infill material (usually sand) is brushed into the top of the grass that adds to the weight of the installed grass and acts as a ballast. Additionally, the edges are pinned down with our 7″ non-corrosive spikes which are spaced approximately 3′ apart. How does ProGreen Synthetic Grass™ affect the environment? ProGreen Synthetic Grass™ is environmentally friendly: it eliminates the need for water. It also eliminates the need for harmful chemicals that seep into the soil (fertilizers, pesticides, weed kill, etc.) Additionally ProGreen Synthetic Grass™ is recyclable and is available with an eco-friendly infill material. Dogs love our grass; they think it’s real! Dog urine is not a problem as it flushes through the turf’s drainage holes and drainage system when hosed off or when it rains. Solid waste is cleaned in the same manner as natural grass. ProGreen Synthetic Grass™ will not stain. For heavy usage areas, such as dog kennels and doggy day care facilities, we use a different aggregate blend for the base below the artificial grass. We also offer anti-odor products like ProGreen Odor Eradicator™ (a topical spray) and Synthetic Turf Deodorizer™ (a microporous mineral). What happens to ProGreen Synthetic Grass™ if a dog tries to dig through it? Although we can’t guarantee that a dog won’t claw through or peel back the edges of the turf, it’s extremely rare. ProGreen Synthetic Grass™ has been installed in hundreds of residential and commercial dog runs around the world. ProGreen Synthetic Grass™ is extremely durable and almost impossible to rip or tear due to our double-coated backing. occasional brooming to stand the grass fibers up is recommended but not necessary. Debris like leaves and twigs can be easily removed with a leaf blower. Drainage is very similar to natural grass. Progreen does not use holes in their artificial grass, instead they use their patent-pending Proflow Synthetic Turf Technology. 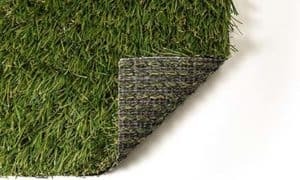 This artificial grass is non-perforated, meaning that it does not use holes in the backing for drainage and it increases drainage capacity by 100%. For details, please read our blog post detailing Proflow Synthetic Turf. How does the cost of ProGreen Synthetic Grass™ compare to installing a natural lawn? When compared to installing a sprinkler system, top soil and the price of sod, combined with frequent watering, mowing, weeding, and fertilizing, the cost of synthetic grass hits a break-even point in 3 to 5 years. You can minimize your investment if you include landscaping rocks, mulch beds and xeriscape elements with your synthetic grass. The contrast of landscape rock with ProGreen Synthetic Grass™ looks fantastic! See our Natural Grass vs. Synthetic Grass comparison chart. How do I choose which type of ProGreen Synthetic Grass™ is best for my needs? Why should I choose ProGreen™ over another artificial grass company? Not all synthetic grass is created equal! ProGreen™ has been making the highest quality synthetic grass since 1987 . All ProGreen Synthetic Grasses™ have undergone many years of extensive research and development, including stability and wear-resistance testing. Most importantly, all ProGreen™ products are lead-free (not all artificial grass companies can say that)! ProGreen Synthetic Grass™ is made in the USA! How can I pay for my ProGreen Synthetic Grass™? We accept checks and most major credit cards. I’ve heard that lead has been found in artificial grass, is there lead in ProGreen Grass™? There is no lead or any other heavy metals in ProGreen Synthetic Grass™ products. ProGreen™ has the most stringent testing in the industry.